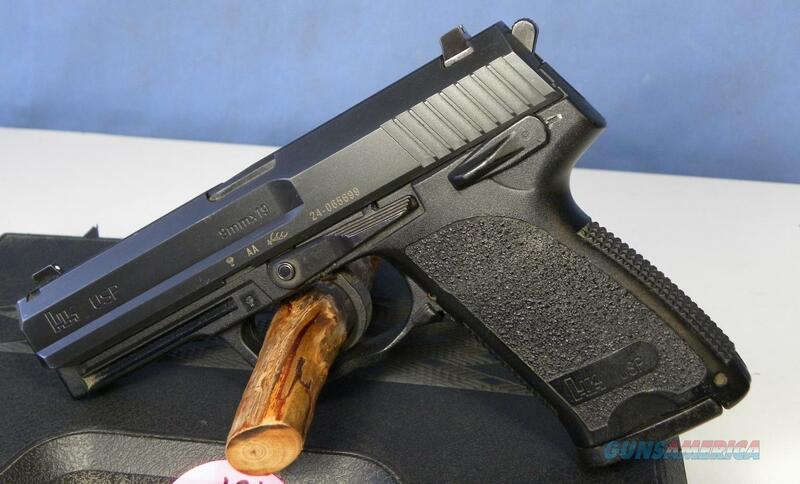 Description: This is an H&K USP 9 pistol made in Germany. This pistol was made in 2000 and has a 4” barrel with a shiny bore and sharp rifling. The frame has a rail for mounting a flashlight or a laser underneath the barrel and comes with two 15 round mags. The sights are white three dot sights.